From 29th March to 2rd April, in PRAE Valladolid (Spain). This free modular course is directed at existing and future NGO leaders and staff members. Potential new leaders will acquire a new set of competences and skills and existing NGO members will refresh their knowledge from the perspective of a lifelong learning process. The objective of the course is to activate talent from citizens that may become role models as NGO leaders for change and sustainability. The programme will cover a variety of topics related to NGO work such as entrepreneurship, sustainability, valuation of natural and social capital, management, leadership and motivation, financial administration, funding and more. Taking part in the course will be an international experience as there will be participants and trainers from Austria, Ireland, Greece, Portugal, and Spain. 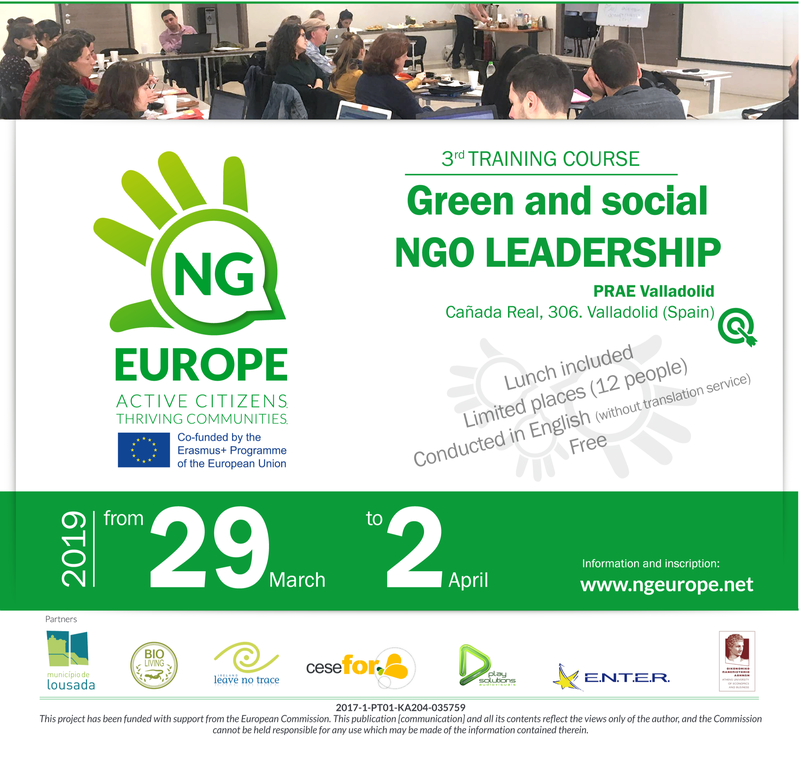 The course includes visits to local NGOs, training sessions about NGO work, background information, tools, and presentations of best practice NGOs. More information, schedule and inscriptions.